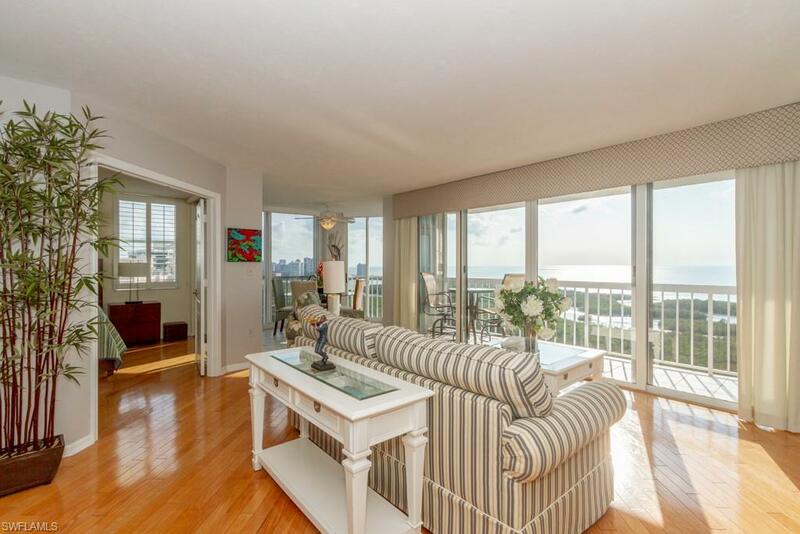 Rarely available, this elegant 18th floor corner unit offers a spectacular view of the Gulf of Mexico. This 1, 434 sq. ft. unit comes with a parking space in the underneath garage and has an extra storage space. 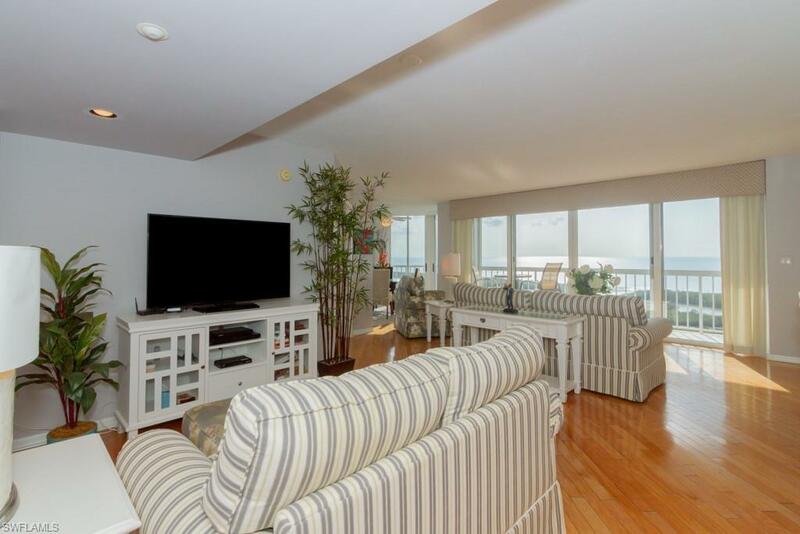 Gracefully renovated and decorated the property is offered turnkey and has 2 bed/2 bath + Den. 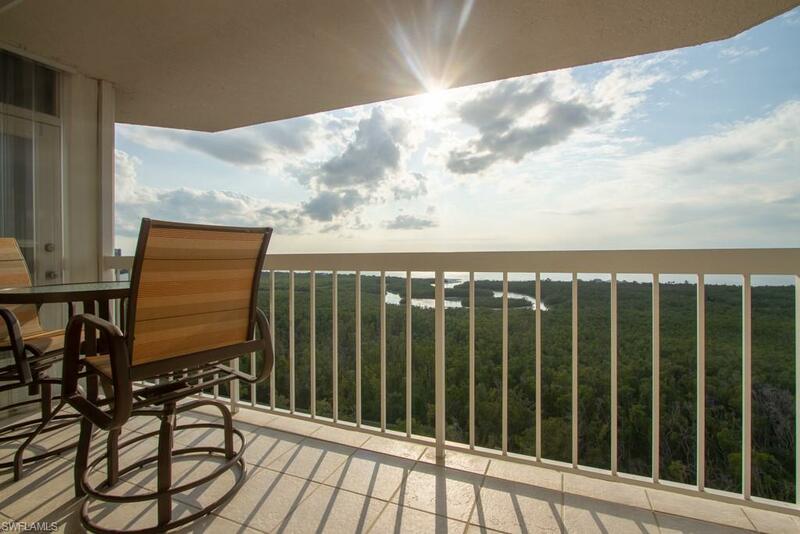 Wood and tile flooring, stainless steel appliances, stone countertop, plantation shutters or some of the upgrades you will enjoy in this lovely beach retreat. St. Maarten is conveniently located between the Pelican Bay Commons and the South boardwalk to the beach. St. Maarten residents can also enjoy one of the shortest walk/ride to the beach due to the location of the building within the Pelican Bay community. Located steps away from the Pelican Bay Foundation, tennis center and tram transportation, you will enjoy the 2 private beach clubs/restaurants and so much more. Building has an exterior Jacuzzi and pool area, interior exercise room, sauna, billiard and ping pong area and also have 2 guest suites available to rent for your visitors. 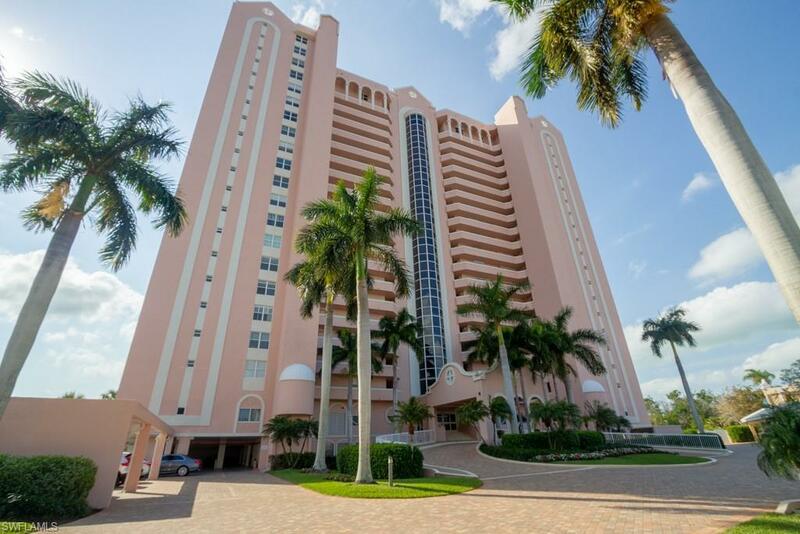 Pelican Bay is located in the heart of Naples, close to restaurant, shops and entertainment activities.